It's been 8 years since the last instalment of a Predator movie with Predators (one I'll need to look at some time) and it has quite a bit of hype especially as it's directed by the critically acclaimed Shane Black who also happened to have a big part in the original movie. Did it live up to the hype? Lets's take a look. So this movie follows a soldier by the name of Quinn McKenna (Boyd Holbrook) as the movie starts off with his group's contact with a crashed alien spaceship that happens to inhabit a Predator. I think this is also the first movie that actually calls them by that name and actually makes a funny joke out of it so kudos. Anyway Quinn ends up sending parts of the spaceship back home so that the government can't take it from him, and his son accidentally activates it, calling forth the deadliest Predator we've seen yet in order to bring back the cargo. And from here we have our Predator movie. As this film has now been out for nearly a week, you've probably heard from others that there is quite a bit of comedy in this movie and you would be correct. Although a lot of people have been saying this in a way that makes it sound like it's a hindrance on the movie and I would need to totally disagree with that as the humour is one of the best parts of this. If you've seen any other Shane Black movie like The Nice Guys then you kind of know what kind of movie you're getting into as this is basically that movie but with Predators added in. Hell, even the Predator gets a couple of chuckles. This isn't a totally comedic movie though obviously, as we have Predators here and they're here for anything other than a laugh. 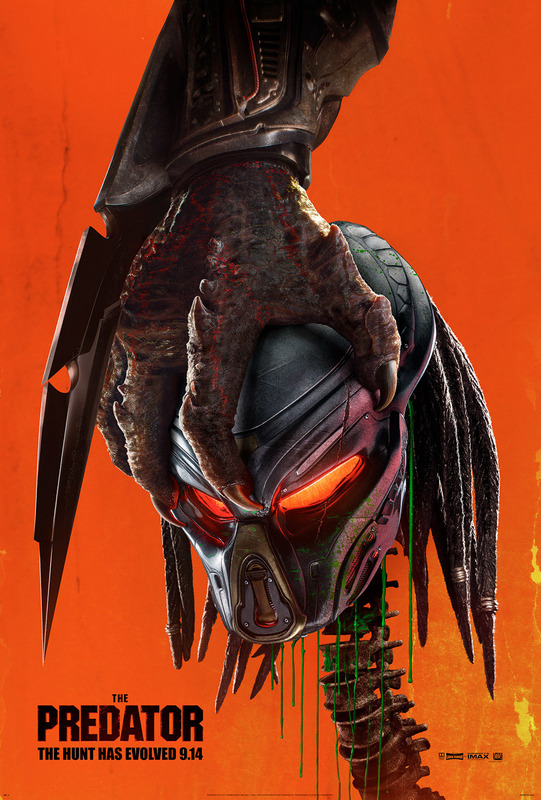 There are some gory moments here, maybe the goriest we've seen of any of the movies and it's glorious to watch one of these Predators go to work. There's one scene in particular that has an unarmoured and unarmed Predator having to take out a room full of people and he does it like he's the world's deadliest version of Batman. It's fantastic. 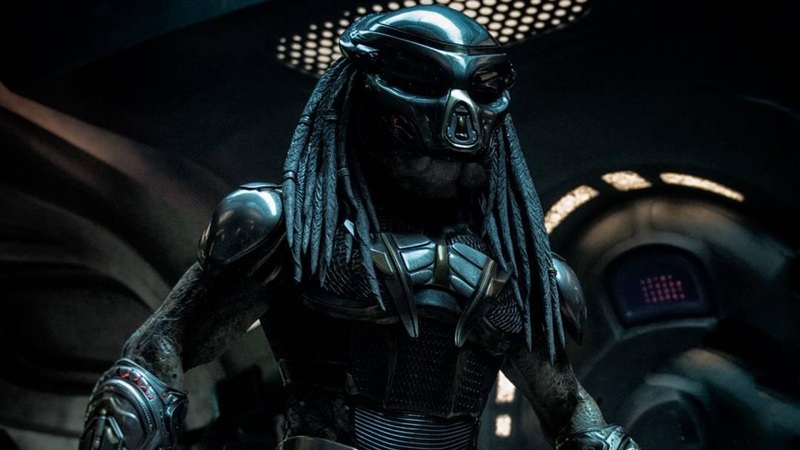 The Predator dogs even make a return but they're disappointingly ineffective in their one 'threatening' scene are basically used as a joke for the rest of the movie. Although they do get some funny scenes so I'll give them a pass. Just like the original we have a group of soldiers as our heroes and they're surprisingly well fleshed out for the most part. The only one that really disappointed was Lynch (Game of Thrones' Alfie Allen) as I can't remember anything that he actually did in the movie. On the memorable side we have Coyle (Keegan-Michael Key) and Baxley (Thomas Jane) who have what would appear to be a bit of a double act going on and the get the funniest parts of the movie by far and even a couple of sentimental ones that surprised me. This is more of a fanboy nit pick but I was kind of annoyed that the Predators didn't really get to do any of their stealthy antics that we've seen in every previous movie as they preferred not to sneak around and got involved right in the action. Still though I had a blast with this film and I have no idea why there seems to be so many negative reviews as I would definitely recommend seeing it whether you're a fan of the franchise or just want a fun Friday night out. This is one worth watching.